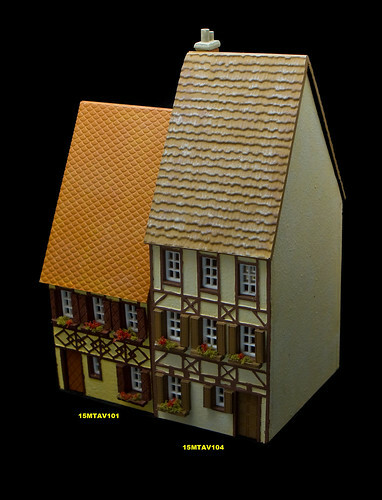 I’m almost done with a new roof for the 15mm German Row House series of buildings. This one includes a dormer window. 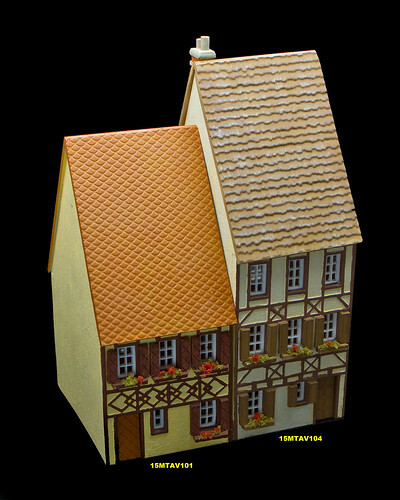 The 15mm German Row Houses are here! 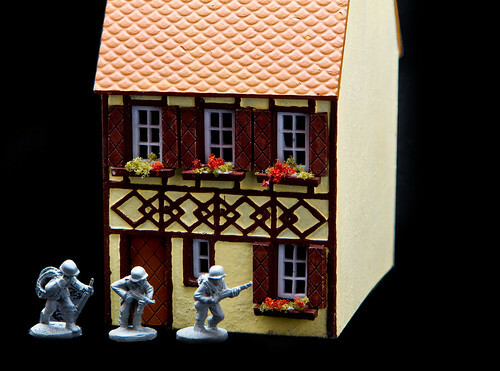 The new 15mm German style row houses are done. There are currently three different styles of building and three different styles of roofing material… that makes 9 possible combinations. 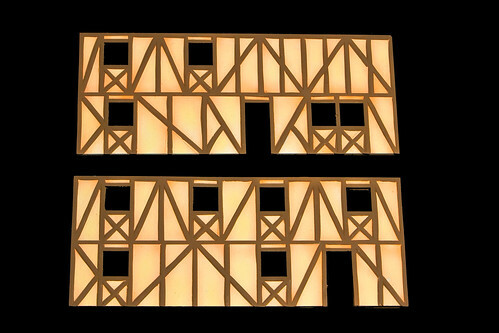 More building styles (including a 3 story house) and roof styles (with dormers) will be coming soon. 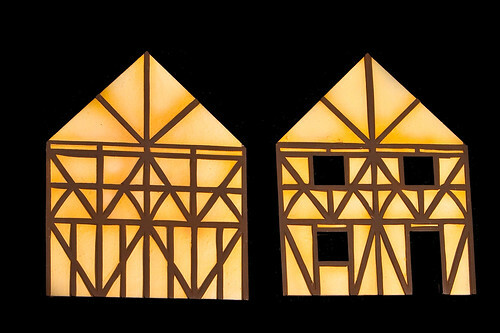 These models can be used in a city setting by placing them right next to each other (touching or very close) to create a city block of houses or they can be used as stand alone houses in the village or country. Here’s a little tip for you: The window flower boxes that you see in the photos are just shutters from the “Doors, Windows and Shutters – 15MTAV114” kit, I just glued them on and put a drop of white glue on them and piled on some Woodland Scenics turf products. A small effort to get a great result.